From coffee, to ice cream, to spiked Jell-O shots. Pride month is all about honoring and celebrating the LGBTQ community; and a great way to do that is to support queer-owned food businesses. There's room at the table for everyone — and highlighting the diversity of the food industry is a great way to celebrate Pride month. 1. Shaquanda's Hot Pepper Sauce to add a little heat to your Pride celebrations. Shaquanda Coco Mulatta, alter-ego of Andre Springer, has created a hot pepper sauce that's big, bold, and fiery. Each batch is unique, using a blend of habeneros and scotch bonnet peppers to give it the perfect bite. Get a bottle from Shaquanda Will Feed You for $10. 2. Scarlet City Coffee Roasting to support women's economic development and health all while sipping your morning cup. Scarlet City Coffee Roasting is unique because they source their beans from "farms that invest in the health, economic development and advancement of human rights of women in coffee farm-worker communities." Get a pound of their coffee from Scarlet City Coffee Roasting starting at $17. 3. Big Gay Ice Cream for ice cream that supports the LGBTQ homeless youth. 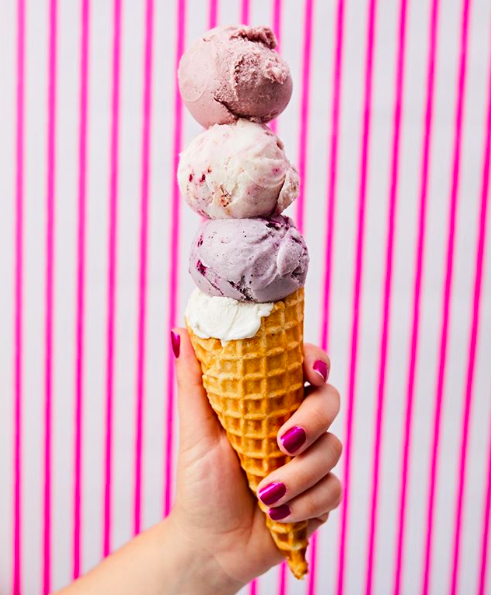 New York-based ice cream company Big Gay Ice Cream has been making over-the-top ice cream flavors since 2009. Besides being flavor pioneers, Big Gay Ice Cream also supports the Ali Forney Center, which helps place LBGTQ youth into safe environments. Get a pint from Amazon Fresh for $6.12+. 4. Diaspora Co. to make your daily turmeric lattes a little more impactful. Diaspora Co. is a a queer, woman-of-color owned business supporting sustainable spice agriculture and direct trade. Their heirloom, single-origin turmeric will take your golden milk to a whole new level of deliciousness. Get a 1.75-ounce jar from Diaspora Co. for $8.50. 5. Hip Chick Farms to proudly satisfy your never-ending chicken nugget fix. Jen Johnson and Serafina Palandech wanted to create a better chicken nugget, and that meant building a company that's transparent about the ingredients they use as well as who they are. If you didn't think chicken nuggets could get any better, these are so good they have their own tasting room. Check out all of their products on Hip Chick Farms here. 6. 18.21 Bitters to make your celebratory Pride drinks extra fancy. 18.21 Bitters handcrafts their bitters to take your drinks to the next level. Never tried bitters before? Start with their classic Baltimore bitters and start shaking! Get a bottle of their signature bitters from 18.21 Bitters for $9.99+. 7. Ludlows Cocktail Co. for grown-up Jell-O shots. These are definitely not your college Jello-O shots. They're made with fresh fruit juices and quality spirits to take them to a whole new level. Find them at Whole Foods and other retailers. 8. The Gefilteria to help preserve a cuisine rooted in tradition. The Gefilteria, a gourmet gefilte fish company, realized that the culinary traditions their founders grew up with were fading and stepped in to change that. They created their own gourmet gefilte fish that's a worlds improvement from the jarred variety people grew up with. Liz Alpern, co-founder of the company, also spends her free time running Queer Soup Night, a "queer party with soup at its center and a commitment to resistance"
Get 1.5 pounds from Grow & Behold for $28. 9. Coachella Valley Coffee Co. for coffee with purpose. This local coffee roaster gives back every step of the way — from the beans they source to the sustainable work practices they support. They also give to numerous nonprofits including Sanctuary Palm Springs that provides "LGBT teens in Foster Care a family home environment." Check out all of their coffee varieties starting at $11.75+ a pound. 10. 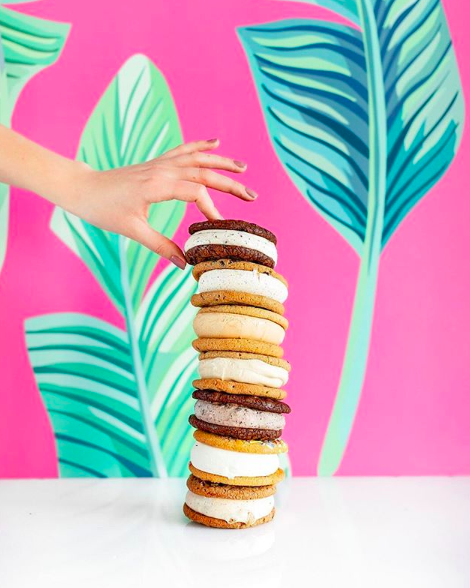 Coolhaus Ice Cream for next-level ice cream sandwiches. 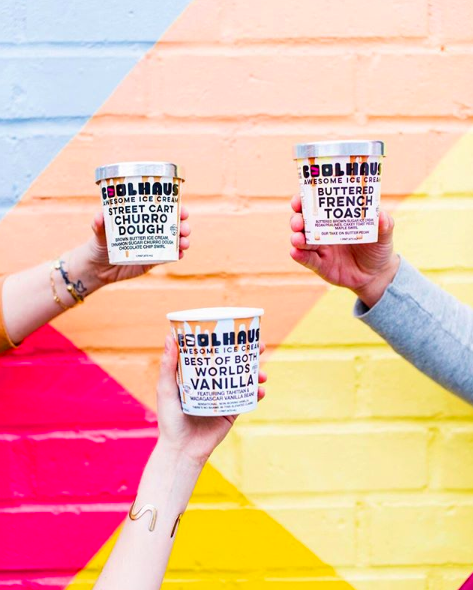 Coolhaus creates modern, whimsical ice cream sandwiches and pints that'll transport you back to your childhood — and it's certified woman-owned, so it's a win-win. Check out all their pints, sandwiches, and other goodies on Coolhaus here. 11. Cowgirl Creamery for award-winning cheese. Founders Sue Conley and Peggy Smith both started their careers working in fine dining restaurants, so it's no surprise their award-winning cheeses are some of the best in the country. Check out all of their cheeses on Cowgirl Creamery here. 12. 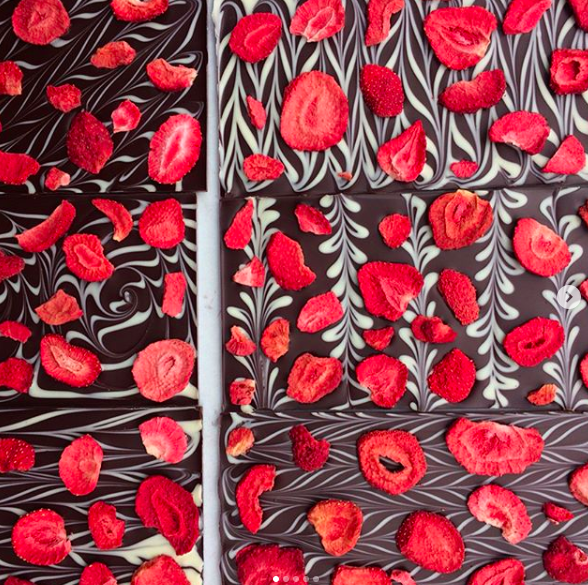 Lagusta’s Luscious for vegan chocolate that looks like art. 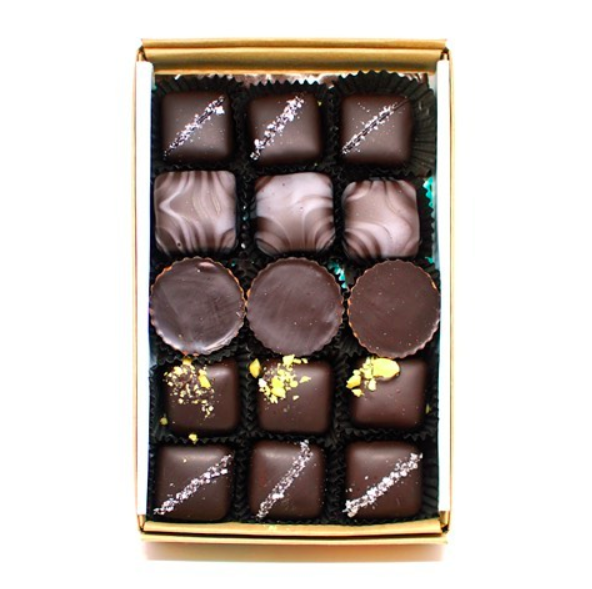 Founded by a vegan chef, this company focuses on every last detail of chocolate making from locally sourcing the ingredients to the packaging it comes in — so it's no coincidence it's absolutely delicious. Check out all of their products (including a limited edition Pride bark) on Lagusta's Luscious here. 13. Lick Honest Ice Creams for whimsical ice cream flavors. Lick Honest Ice Creams, created by founders Anthony and Chad, came about when Chad was visiting Anthony's hometown in Texas and fell in love with the town. 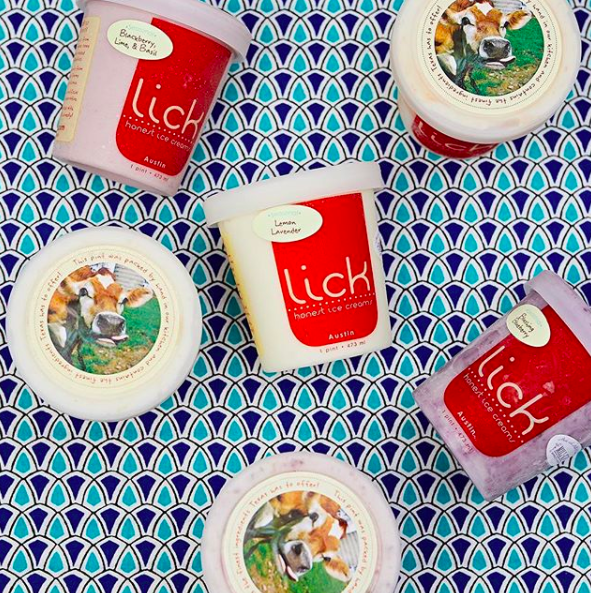 Now, Lick has whimsical flavors like corn cobbler and lemonade pound cake that make it a well-loved company. Check out all of their unique flavors on Lick Honest Ice Creams here. 14. Equator Coffees and Teas for coffee that supports global initiatives. When a coffee roaster boasts supplying coffee for prolific restaurants like The French Laundry, you know it's gonna be good. They also create custom blends, such as Chido's Blend, that give a percent of sales to empowering orphan girls in Zimbabwe. Check out all of their coffees from Equator Coffees and Teas for $16+ a pound. 15. Sauce and Destroy for vegan marinara that'll knock your socks off. If you think marinara needs butter and meat to be delicious, think again. This Brooklyn-based company makes killer marinara without any animal products. Get a pack of two jars from Sauce and Destroy for $26. 16. Material Vodka for vodka that supports the arts. Material Vodka makes premium vodka that's so good it can be mixed or enjoyed on its own — and 10% of all of their profits go to supporting the arts, so you can feel good about it. See where to buy it here. So get snackin', support your local queer food communities, and eat some great food. Happy Pride, y'all!